WOW! What a beauty!! Love how this bull is bathed in light. Beautiful processing and effect, Marta! Really super portrait! Marta, es muy bonita, y le has dado un edicion guapísima. Me gusta, me gusta mucho. Me gusta el efecto, me suena al mismo procesamiento para hacer tilt shift. És de veritat la vaca o d'escayola??!! I els colors... tens un "tripi"-filtre a PS???!!! ;-) Quina foto més sorprenent!! Txula!! Lovely portrait. The light is beautiful. i like the way you frame this image. magnifique rendu des couleurs !!! Wonderful portrait! Like the processing and the light. Yes - what Wolfgang said! 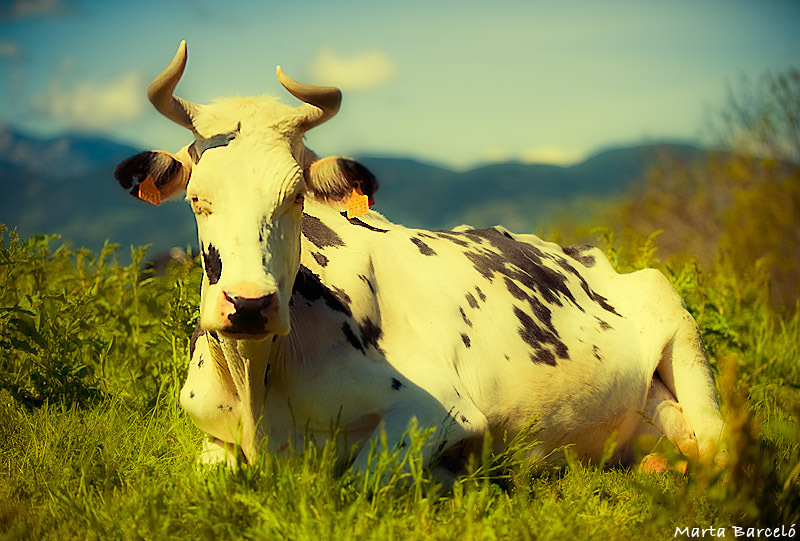 The soft light suits her perfectly - like a grand old madame of a cow.